Biography of Sir Isaac Newton (25th Dec. 1642 - 20th Mar. 1727) - Robolab Technologies Pvt. Ltd.
World famous scientist Sir Isaac Newton was born at woolsthorpe Manor in Lincolnshire, England, on Christmas day in 1642. As a baby Isaac was a weakling. Having lost his father before his birth, he was born prematurely. The widowed mother lost all hope of the baby’s survival. She never had the faintest idea that this baby would one day not only become one of the world’s greatest scientists, but also live long. When Newton was two years old, his mother remarried. He was then shifted to his grandmother’s house and she raised him. This young boy engaged himself in some activity or other. He made a sundial in stone. Besides, he made a watch that ran on water and a model of a windmill. The sun clock he made is on display at London’s Royal Museum. He also loved reading. When he was 14 years old, his mother was once again widowed. He started living with his mother now, and started helping her at their farm. Soon his mother realized that as he approached adulthood his interest in farming was waning. At home he would daydream. He began making models using wood. Finally, his mother agreed to send him to college. Isaac was thrilled. 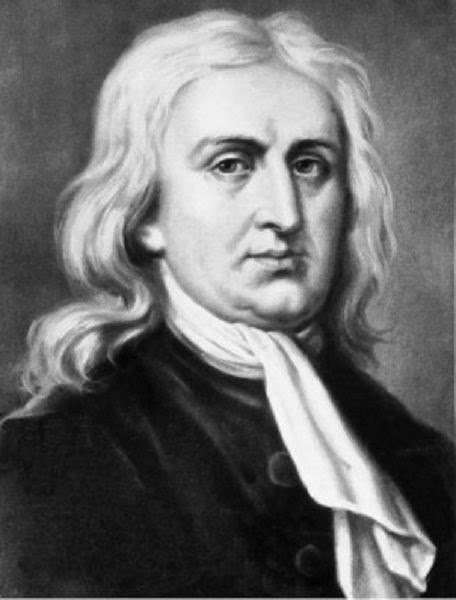 At the age of 18, Newton joined the famous Trinity College at Cambridge. After four years, in 1665, he gained his graduate degree in mathematics from Cambridge University. In college his mathematics professor Isaac Barrow recognized his potential and started encouraging and guiding him and later, became his friend. At that time the plague epidemic raged all over England. About ten per cent of the country’s population died of this epidemic. Schools and colleges were closed. Cambridge University too was closed. Newton was back at his mother’s farm. Till the time the university reopened after a year and half, Newton stayed with his mother. The time he spent here was the most productive period of his life. His greatest discoveries were made during this time (1665-66) and it is also known as miraculous year in Newton’s life. He laid the foundations of the calculus and the laws of motion. He also examined the elements of circular motion and applied his analysis to the moon and other planets. Seeing a falling apple gave him insight into the law of universal gravitation. The seeds of his famous work on optics were also laid then. He later elaborated these and was recognized as the world’s greatest discoveries of those times. In 1667, when the university reopened, Newton was appointed lecturer. He made quick progress and in 1669, at the age of 26, he was appointed Lucasian Professor of mathematics in place of Professor Isaac Barrow. For long Newton was involved in the research on light. Newton’s first work at Trinity College was in optics. While at home, Newton had conducted many experiments in his darkened room with a glass prism. When he let in a chink of daylight between the curtains or a ray of white light passed through a prism, it was refracted. But different parts of the beam were refracted in different amounts, and the beam emerged split into several colors. The colors were same and in the same order, as they appeared in the rainbow : red, orange, yellow, green, blue, indigo, violet. Newton came to the conclusion that white light could be split up by the prism into a spectrum of merging colors in the sequence red, orange, yellow, green, blue, indigo, violet, and these colors, when recombined by the prism, formed white light. Newton called it a crucial experiment or Experiment crucis. He also designed and constructed the reflecting telescope. This telescope had an image that was not formed by a lens, but by a concave mirror. James Gregory had proposed such use of a concave mirror earlier, but Newton was the first to make such an instrument. The telescope aroused more interest than his lectures because here was something that could be seen, handled and tested. The Royal Society, heard tales of this ‘Wondrous Instrument’ and in 1671, it caused such a sensation that it was demonstrated to King Charles II, on special request. The small telescope, which performed so well, aroused great interest at the Royal Society. As a result, Newton was elected a member of the Royal society, to which he donated the reflecting telescope. The diameter of the mirror was one inch. One such reflecting telescope is installed at the California Institute of Technology’s Mount Palomar Observatory. Its diameter is about 515 cm. His initial research papers focused on light. Many scholars opposed these vehemently, though some praised it. He had replied to Christiaan Huygens and Robert Hookes criticisms. By then a popular figure, Newton, who was psychologically incapable of accepting criticism, was so upset that he swore not to publish any scientific work. Now he quietly worked to develop the theoretical principles underlying his experimental works. Besides, he represented the university in parliament. In 1664, the famous astronomer Edmund Halley visited Newton. He had come to discuss Kepler’s laws on the motion o planets. Halley came to realize that Newton had laid down the basic laws of gravitation through his calculations and conclusions. At Halley’s urging, Newton reproduced the proofs and expanded then into a paper. Halley at once recognized the importance of what Newton had done and also, realized that he was dealing with a genius. He persuaded Newton to publish his works and results. He volunteered to bear all the production cost. Halley encouraged Newton to write a full treatise of his new physics and its application to astronomy. In 1687, Newton finally published the ‘Philosohiae Naturalis Principia Mathematica’ ( The Mathematical Principles of Natural Philosophy) in three volumes in Latin, which caused a sensation. Newton became internationally famous. Though his concept of force was not generally accepted, leading scientists of those days soon recognized him as a worthy successor of Galileo and Descartes. The Principia is still considered as the greatest scientific book ever written. His third law of motion-that action and reaction are equal and opposite has done wonders. Present day rockets and jet planes run on this principle. In 1698, Newton was appointed as the Master of the Mint after working as the Warden of the Mint from 1696. He held this prestigious position and made many important changes to prevent manufacturing of counterfeit coins. In 1701, he resigned his fellowship and professorship at the Trinity College. In 1703, Newton was elected president of the Royal Society and remained on this post till his death. In 1705, Queen Anne honored him by conferring on him the title of ‘Sir’. He died on March 20, 1727 at the ripe old age of 85. This great scientist was laid to rest with other eminent personalities at Westminster Abbey.